My name is Lisa, and I am fifty-something online shopper/ cybershopper. 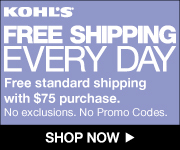 Daily, I click the ”Buy Now” button to fill my family’s shopping needs. My teenage daughters poke fun at all the deliveries that arrive daily at our front door, and my wonderful husband doesn’t share my enthusiasm for finding the best promo codes. I have to remind my family that my cyber shopping saves our family time, energy, money and allows us to have more quality time together. My cyber shopping world has enabled me to shop online for almost everything: batteries, food, clothing, books, curtains, home decorations, furniture, cleaning products, office supplies and countless other products. I also hunt online for the best reviews of services i.e. Dentists, hairdressers, oil changes and family activities. Before I purchase products or services online, I try to read comments posts by other reviewers. Reading reviews helps me navigate my cyber purchases. I play it forward by sharing my reviews. Through the years, I have found my email address and user names have changed numerous times. 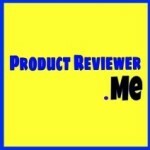 So, I decided to create a website where you can find all my reviews, http://www.ProductReviewer.me. Whether you purchase goods or services, I hope my reviews will offer you value and guidance.